It all begins with a simple sunflower seed. 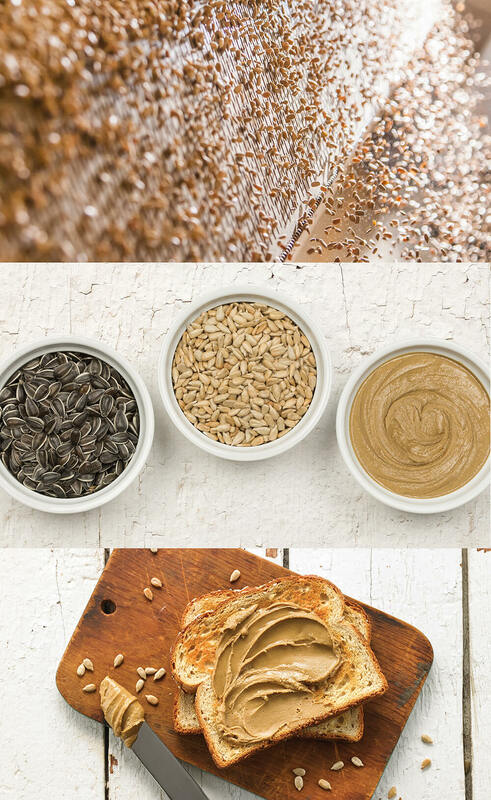 Grown in the heart of confection sunflower country from the finest seeds available, SunButter was born when our founders recognized the potential for a delicious and peanut free sunflower seed butter. We partnered with the USDA in 2001 to create SunButter and quickly became the leading brand. SunButter Sunflower Butter is scrumptious, packed with nutritional benefits, and is free from the top 8 food allergens. Whether you spread it on toast, use it for dipping fruits and veggies, dollop it in a smoothie bowl, or bake cookies and bars with SunButter, it is natural, simple, and delicious. SunButter is produced in a continuous and controlled process from seed to jar that ensures a fresh roasted flavor and smooth consistency, and simple ingredients every time.